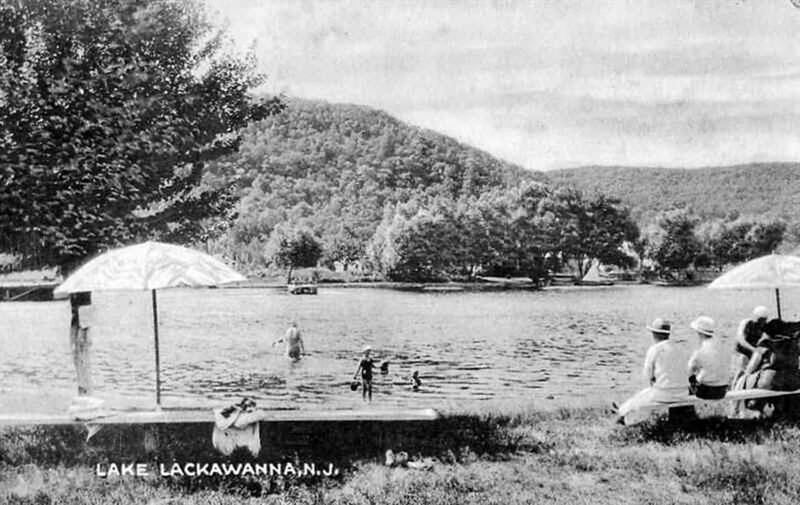 Here’s a great article on the history of the official beach areas at Lake Lackawanna. 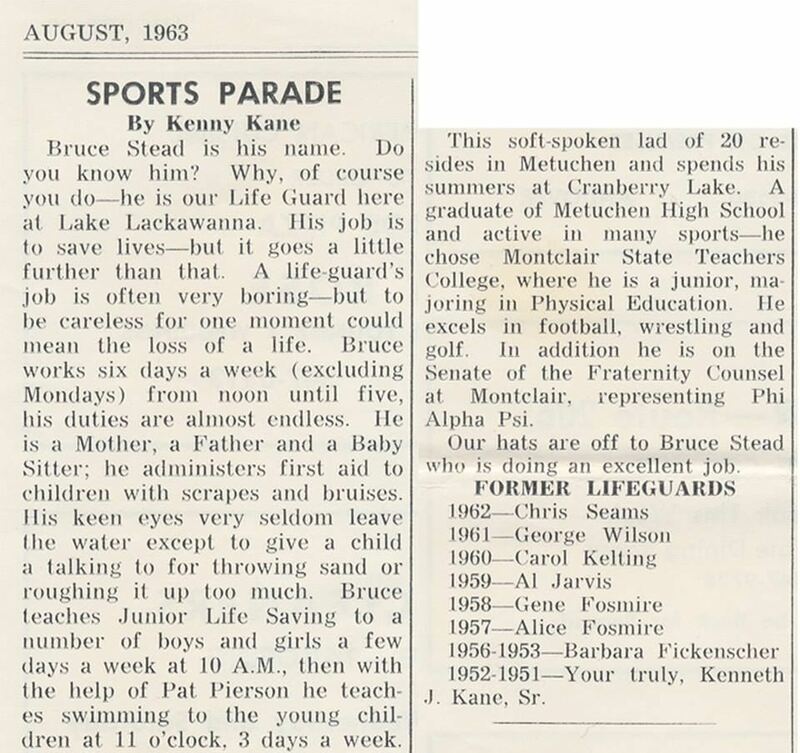 It was originally published in the August 1964 edition of the “Lack-A-News” bulletin. 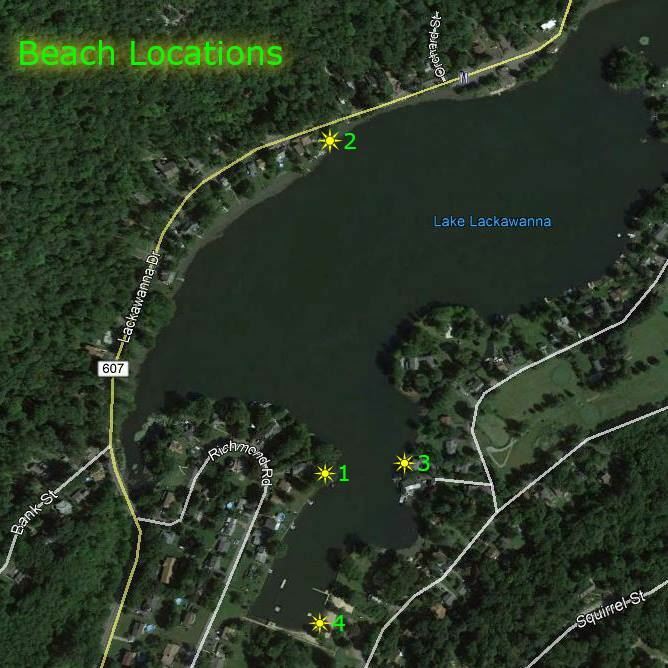 I had some discussions with Al Jarvis and we, mostly him, narrowed down the current address locations of the first three beach areas. 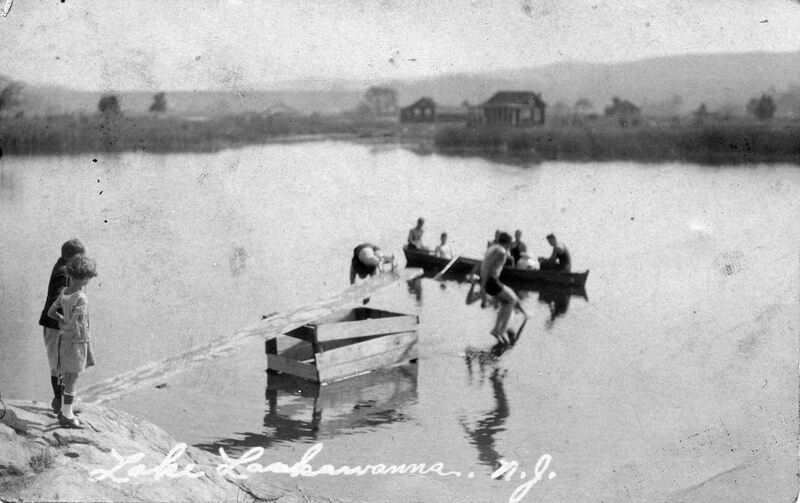 We believe the addresses are 38 Richmond Road, east side of 158 Lackawanna Drive, and 27 Lake Drive, respectively. 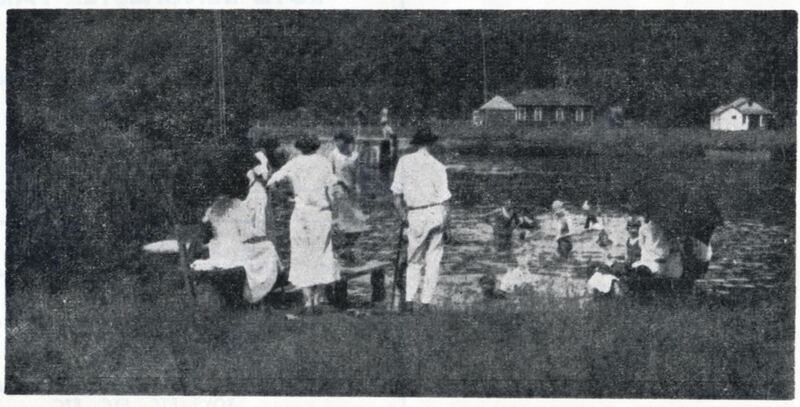 The fourth and final location of the beach, near the dam at the end of the lake, was established in 1925. 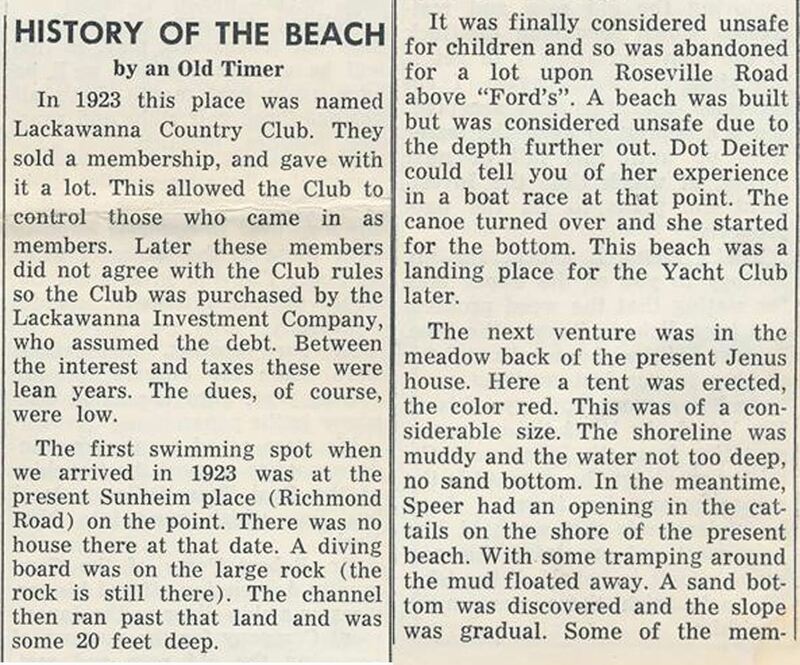 The first two images from my collection were presumably taken at the Richmond Road location, the site of the original beach at “The Rock”. 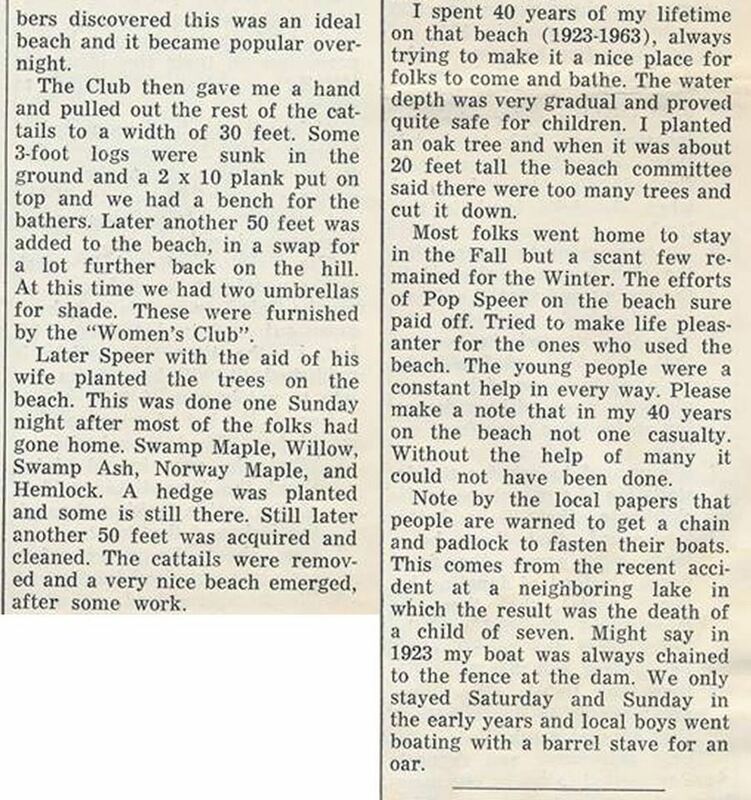 These date to 1920-1923 or so. 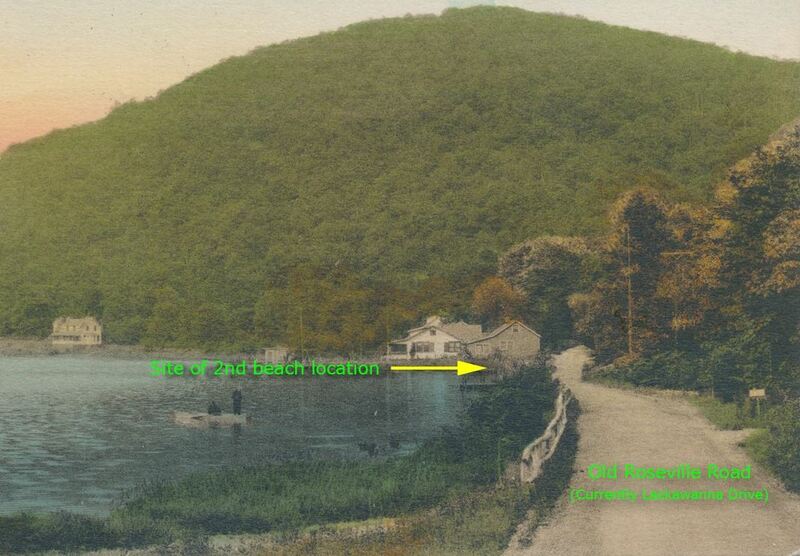 The next two photos show the current beach area in its early days, circa 1925.